Debt financing is basically money that you borrow to run your business (as opposed to Equity Financing, where you raise money from investors who in return are entitled to a share of the profits from your business). You can think of debt financing as being divided into two categories, based on the type of loan you are seeking: long-term debt financing and short-term debt financing. Long Term Debt Financing usually applies to assets your business is purchasing, such as equipment, buildings, land, or machinery. With long-term debt financing, the scheduled repayment of the loan and the estimated useful life of the assets extends over more than one year. A lender will normally require that long-term loans be secured by the assets to be purchased. Short Term Debt Financing usually applies to money needed for the day-to-day operations of the business, such as purchasing inventory, supplies, or paying the wages of employees. Short term financing is referred to as an operating loan or short term loan because scheduled repayment takes place in less than one year. A line of credit is an example of short-term debt financing. Lines of credit are also typically secured by assets (aka collateral). Credit cards are a popular source of short term financing for small businesses. In fact, according to a 2015 U.S. National Small Business Association study, 37% of small business owners use credit cards for financing. Short term financing is commonly used by businesses who tend to have temporary cash flow issues when sales revenues are insufficient to cover current expenses. Startup businesses are particularly prone to cash flow management problems. 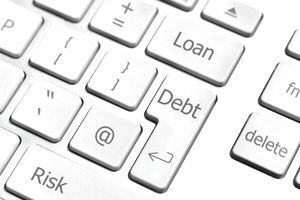 Debt interest costs are fully tax deductible as a business expense and in the case of long term financing, the repayment period can be extended over many years, reducing the monthly expense. Assuming the loan is not variable-rate the interest expense is a known quantity for budgeting and business planning purposes. For extended financing, banks normally require assets of the business to be posted as collateral for the loan. If (as is common with small businesses) the business does not have sufficient collateral the lender will require personal guarantees from the business owners. As an owner, this leaves you personally responsible for paying back the loan (even if your business is incorporated). If your business is in difficulty and is unable to make the loan payments, whatever personal assets you have posted as collateral (house, car, investment accounts, etc.) can be seized by the bank. If your business is in need of debt financing or equity investment you must have a solid business plan in place before any lender or investor will consider giving you funding. This includes the financial details of your business such as an income statement, cash flow projections, and a balance sheet.